Bike carriers are the safest and easiest way to transport bicycles by car, whether you’re heading off on holiday, or just having a day out in the countryside. There are several styles of carrier available, to suit all needs and budgets. The type you choose depends on how many bikes you need to transport, and what kind of car you have, as well as your personal preferences. 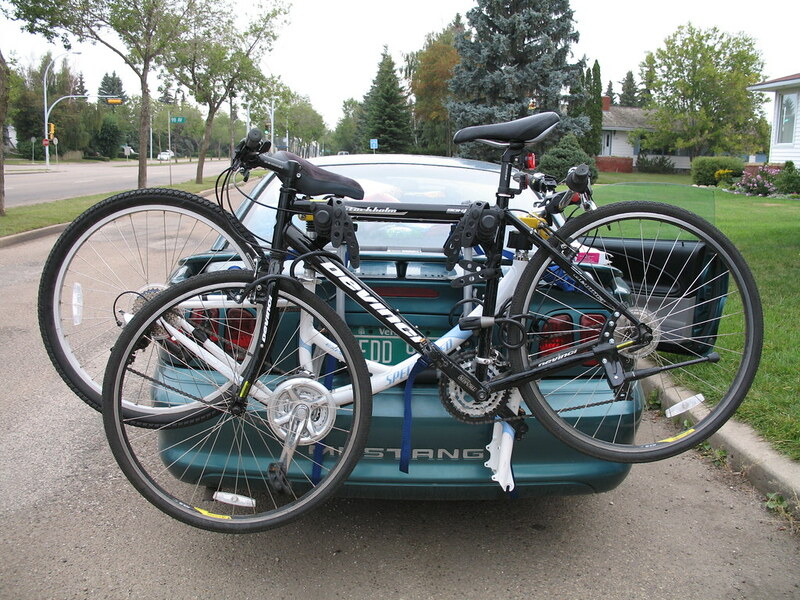 Bike carriers fall into three main types, depending on where they are attached to the car. There are roof mounted, tailgate mounted, and tow bar mounted carriers. Usually, carriers can’t take more than four bikes, so if you’re transporting more than that, you will need more than one carrier, or a trailer. Roof mounts can be attached to almost any car with roof bars, and can often be fitted in addition to a roof box. Bicycles are conveniently out of the way, but the drag will increase fuel consumption. You’ll need to watch out for overhanging branches and low garage roofs, and have the physical ability to lift the bikes up and down. Both tow ball and tailgate carriers are fitted to the rear of the car, making it easier to add and remove bicycles. Tow type carriers require a tow ball, but these can be easily fitted if your car does not have one already. Depending on the carrier design, you may be able to tow a trailer as well as supporting a bike mount. You can choose a cheaper hanging frame, or one which supports the bicycle wheels. Both types of rear carrier can obscure the view through the rear windscreen, and tailgate mounts may prevent you from opening the boot while fitted. If you will be leaving your car unattended with the bikes attached, for instance during an overnight stay on the way to your destination, you will want to consider security against theft. Some carriers come with locks, but for other types, especially those which use fabric straps, it’s worth securing your bicycles with a cable lock too. When operated properly, all carriers should be secure, although some will feel more secure than others. Bikes that appear to wobble are almost always perfectly safe, but as a driver you might find them distracting. It’s worth going for a short test ride to try out your carrier and reassure yourself that all is well. Image by Striatic used under the Creative Commons license.